As with the dataplates, the finished restoration project often relies on the correctness of "small" details. This is also true of the painting of the USA numbers. 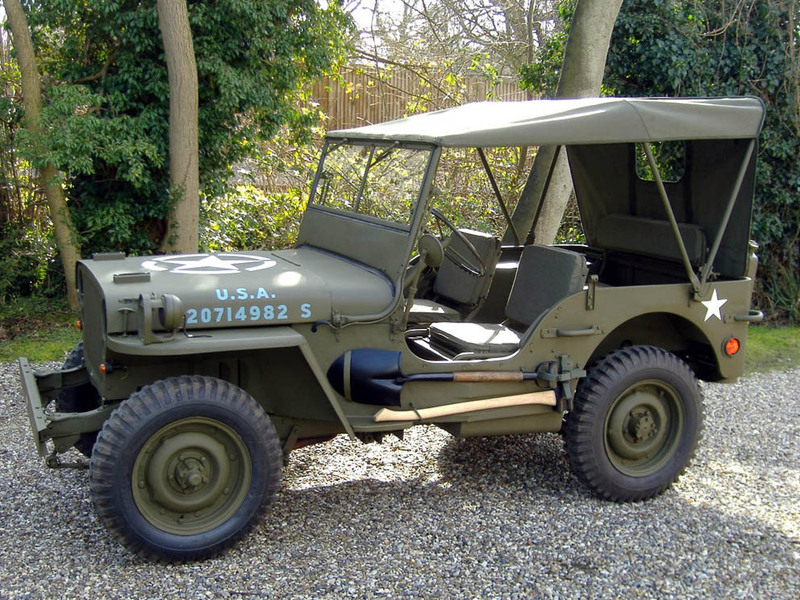 Looking at USA numbers painted on jeeps today, you find as many variations as used in WWII . All sort of lettering styles are used. 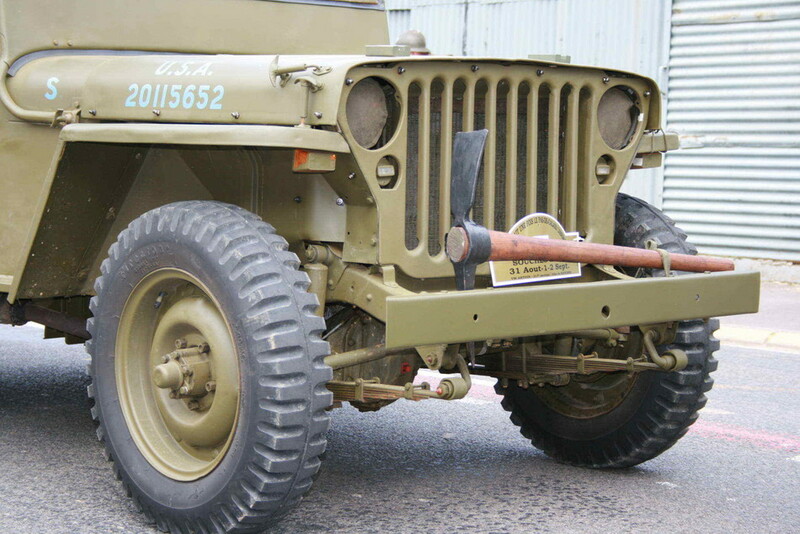 As from start of production : When Jeeps left the factory they were lined up outside and the numbers were painted in the sequence of how they were parked. 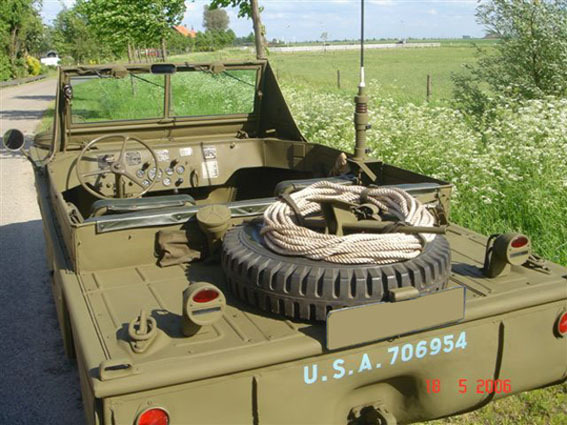 The numbers on the hood were painted in a blue drab colour. 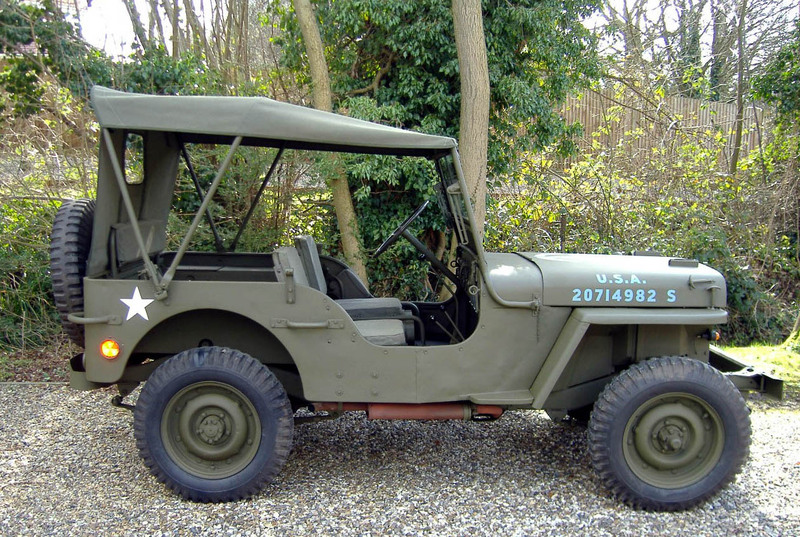 At the beginning of 1945 this was changed to white, but still only in one factory * style. 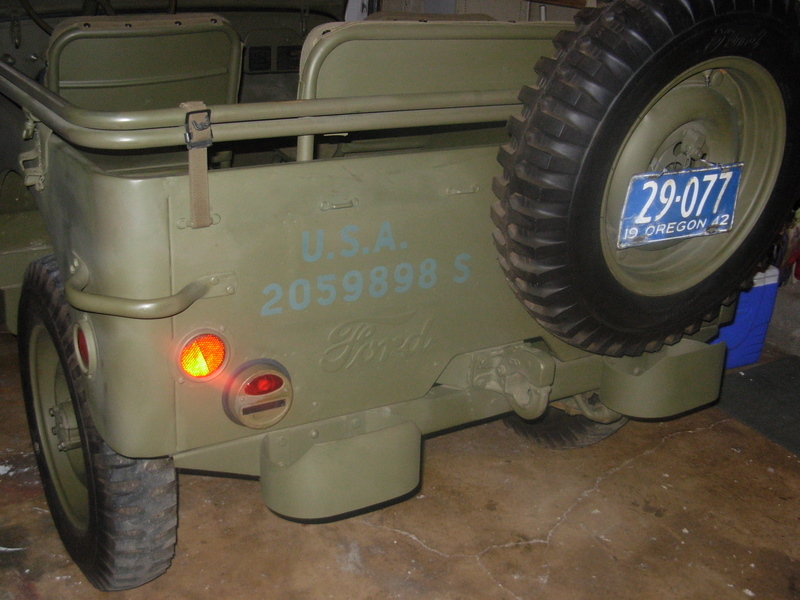 Using original WWII Jeep pictures and remains of numbers under old paint I have been able to redraw these correct factory fonts for Willys and Ford USA numbers. Both manufacturers had a unique font design which can't be found as a ready made computer lettering. 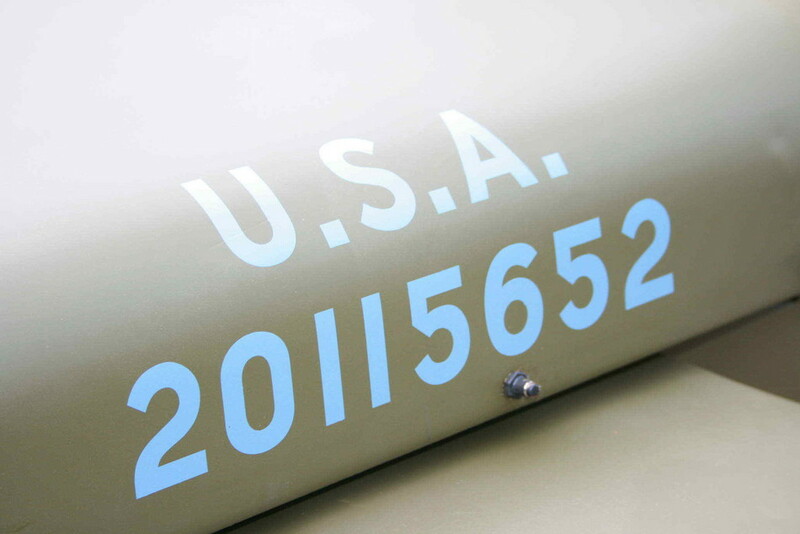 You can order your number, custom made for your Willys or Ford .The result can be seen at the pictures below. 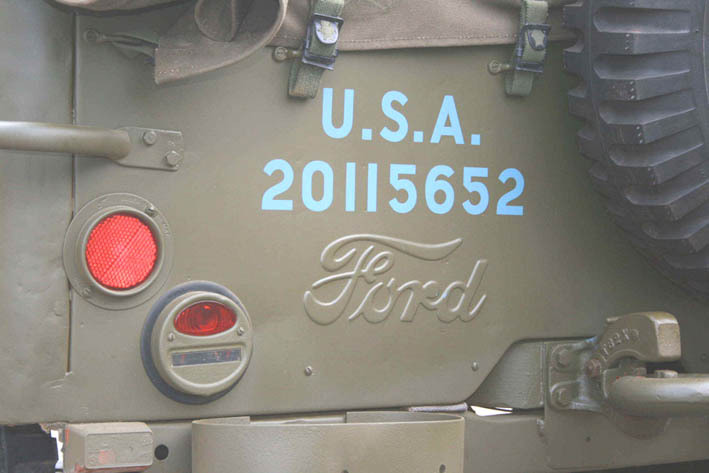 At any time during the WWII, once in the hands of the motor pool or field units, every imaginable style of white lettering has been used. This is one of those styles, more styles in 3" will follow.